The government’s payment by results (PbR) schemes are now estimated by the National Audit Office to account for at least £15 billion of public spending. However, neither the Cabinet Office nor the Treasury currently monitors how PbR is operating across government. Government has a growing portfolio of PbR schemes where payment depends, at least in part, on the provider achieving outcomes specified by the commissioner. The NAO report looked at a number of areas where PbR is now used, including welfare to work, family support, offender rehabilitation, and international aid. In today’s report, the spending watchdog says that, without a common source of shared expertise and a strong evidence base, PbR schemes may be poorly designed and implemented, and commissioners are in danger of ‘reinventing the wheel’ for each new scheme. Government’s experience to date has shown that PbR is a technically challenging form of contracting, not suited to all public services. But commissioners have often failed to explain why they have chosen to use PbR rather than alternative delivery mechanisms. The PbR mechanism carries costs and risks that government has often underestimated. Although PbR transfers some risk to the provider, commissioners need to be aware of the risks they retain: for example, that providers do not meet their objectives. It takes time and effort to design PbR payment mechanisms that offer appropriate incentives to providers. If the payment offered is too high, the taxpayer could pay too much for the service; if too low, providers may not bid for the contract. A poorly designed scheme may create perverse incentives which lead providers to prioritise people who are easier to help and neglect those who are harder to help. It is essential that commissioners establish performance expectations at the start of a scheme, and actively monitor and manage provider performance. Commissioners need to plan at the outset how they will evaluate both the effectiveness of the scheme as a whole, and the impact of using PbR to deliver public services. 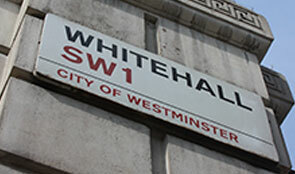 Amongst the NAO’s recommendations is that the Cabinet Office and Treasury identify a part of the government to be the repository of information and expertise about public sector use of PbR.